Warning: May cause intense salivation, beware. I really don't know where to begin with. I owe you guys a lot, I know. And I'm very sorry if it took so long before I've finally decided that I need to post something on this blog. Thanks to Google AdSense, it inspired me to write more just because I realized that I just need a half more before I could finally cash out. If you follow my Instagram account, then you're probably aware that I do avoid spending too much for food now. Why? Because I bake, grill, fry, boil and cook bigtime! My part time job cannot suffice food trips now. All I just do is visit the nearest shop and buy flour and stuff so I could create my own dessert or snack at home. And to give you some insight about what makes me MIA on blogger, here's just a few set of snaps that will make you drool. Not really. Yes, you're right. I haven't tried a real s'mores yet, so I've made some for myself. 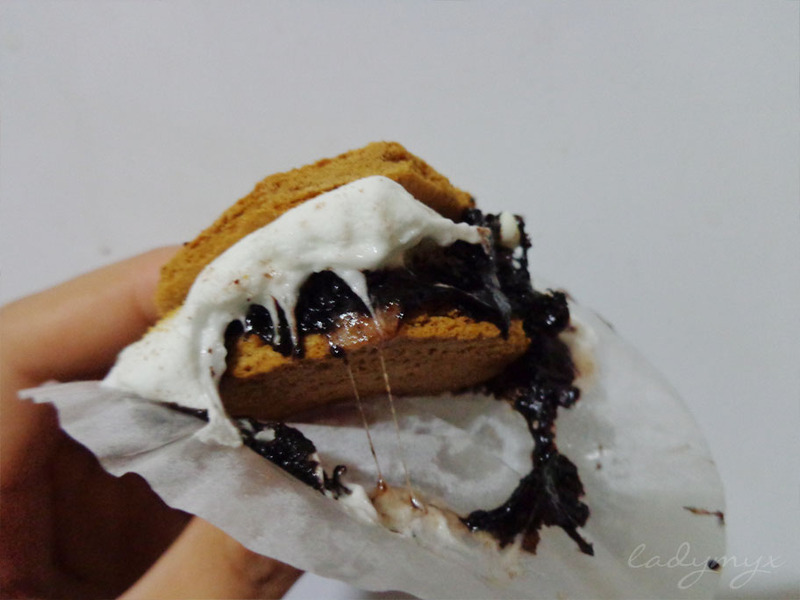 And hereafter, I'll never make s'mores anymore. 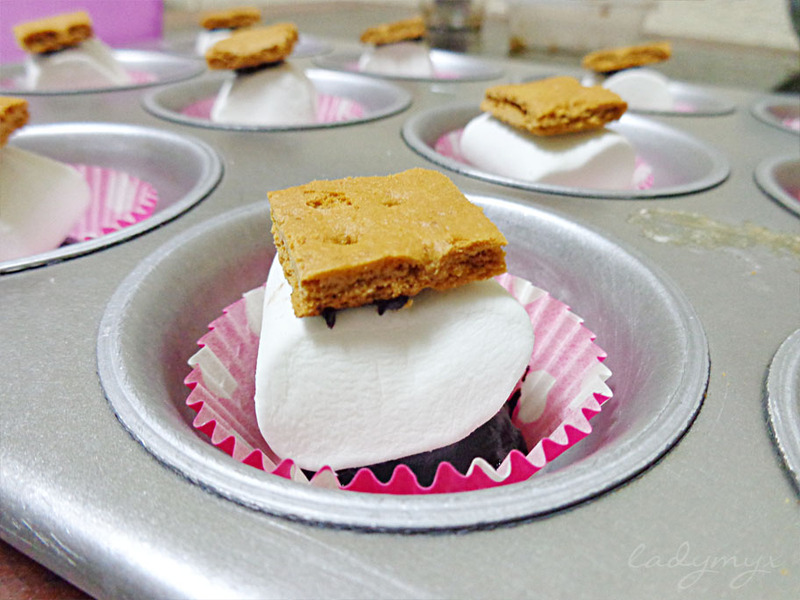 I'll make batches and batches of s'mores! There's nothing fancy about these goodies actually, they're just made of graham crackers, chocolate and marshmallow. 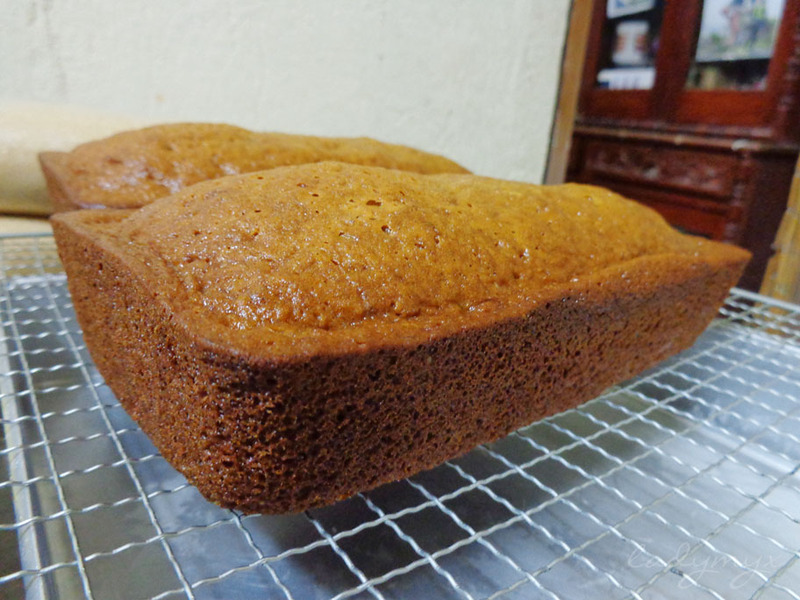 Here's my brothah's banana loaf/cake and selling it for Php60 only. Here's my favorite creation above all others; Red velvet Oreo truffle brownies! 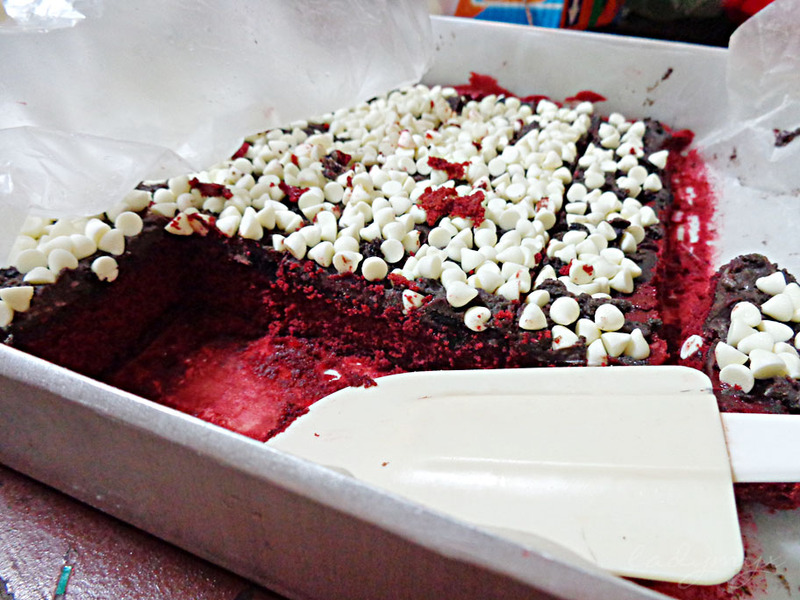 Layers of red velver brownies, cream cheese and oreo mixture topped with white chocolate chips. Yum! 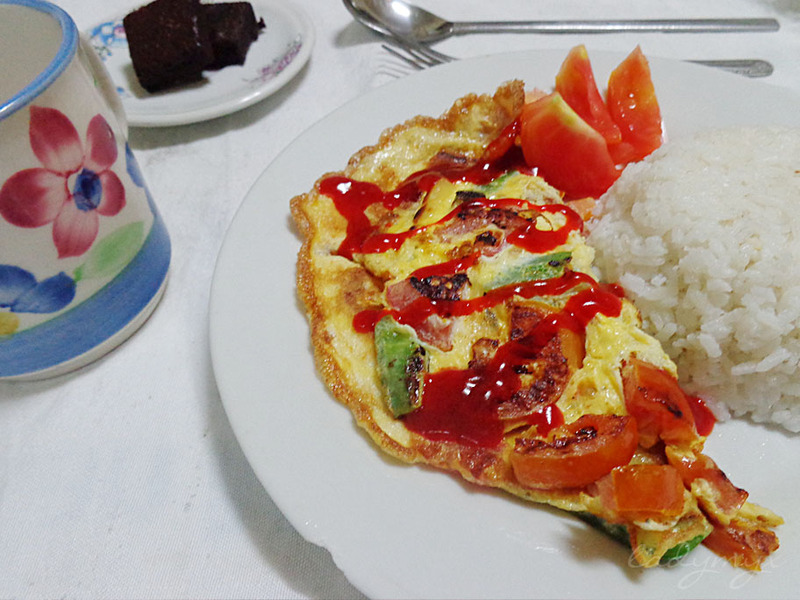 And lastly, my Sunday breakfast, composed of half empty hot milk tea, vegetable omelette, fresh tomatoes, a cup of rice and two slices of homemade sinful fudgy chocolate brownies. Well honestly, I wanted to share them with you guys, but distance refrains me to do so. LOL. Already salivating! 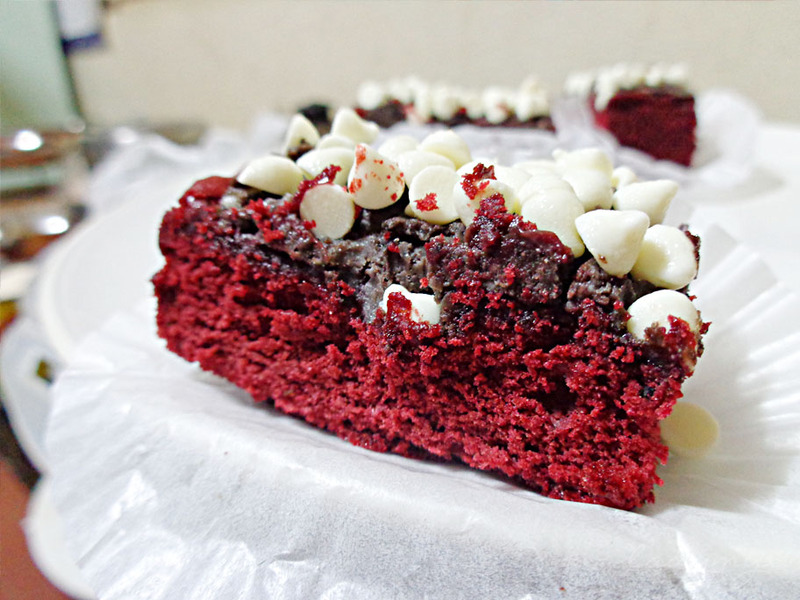 That red velvet Oreo truffle brownies looks sooo yummmmyyy!!! well it is an extra ordinary dishes.. im cravingggg...saan po makakabili ng ganyan o paanno ba nagagawa yan? do you have your own restaurant?